How long have you owned the farm? We have been running the farm, including the restaurant and other businesses for about nine years but the farm itself has existed for many years, probably from the era of my father and grandfather. What is the philosophy behind Ampelostrates? Our philosophy is to make people feel happy based on a truthful, authentic experience. Whatever we have available in our restaurant it is growing straight from our garden, the grapes, the tomatoes, the raisins, the olive oil – everything. Also, the name of the business has a compound meaning – it combines the vines, which is our great passion with the streets and paths we’re crossing with the horses to get to the vineyards. There are different ways that people pronounce it, Ampelostratis or Ampelostrates – there are always arguments about that with my wife or other friends, but at the end it’s where you want to give more emphasis. 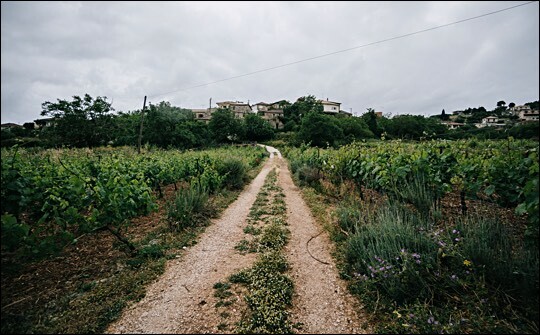 Ampelo(stratis) – places emphasis on the road and (Ampelos)trates – gives more emphasis on the vines. Tell us about your wine, how do you make it, how long does it take, how does it taste? Zakynthos has amazing vineyard products similar to the rest of Greece and in Zante we have recorded from the ancient time around 40-50 local raisin varieties. 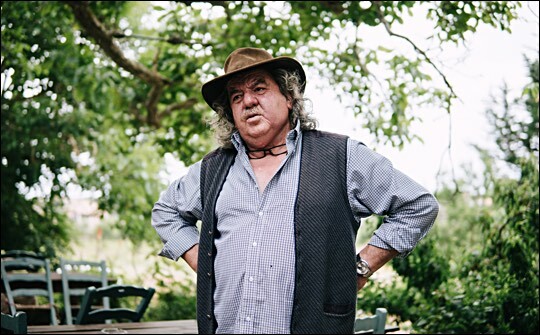 My father and grandfather, but mainly myself and my children looked for most of these varieties in Zakynthos and we have the philosophy to revive and use the vineyard in the best possible way and also get rid of the industrial wine that has intruded our lives. The wine business is a fantastic working activity and it takes so many different forms – nobody can’t really say that makes the best wine ever because it has a myriad parameters that play role in its production. For example, if you try wine from three different vineyards the wine won’t taste the same – imagine when wine comes from 50 different vineyards due to different environmental conditions and temperatures it will always taste different. We work hard to produce a good result and we make it happen. In general, the new generation experiments a lot and produces very good quality wine. Often times you hear people complain, especially those who lack knowledge that a tsipouro is made out of arbutus, sour cherries or damson fruits. Yes, this usually is how people produce it in North Europe because they don’t have good raw materials. When you have this incredible raw material, the grape, that gets 13 in the Baume scale and then distil it and get out all the aromas, then there is no reason why you would use arbutus or sour cherries. Based on this process the wine and tsipouro has the best taste and quality. Nature equips you with the best variety of grapes, but you should also be competent enough to carry it out. The climate, the geomorphy of the island and the soil are the main factors that benefit the production of these products. More specifically, the high sunlight in conjunction with the high amount of rain (the highest in Greece). It produces excellent products and it’s also worth mentioning that it has one of the greatest flora in the Mediterranean – the biodiversity is also very wide, especially in wild plants and herbs – mainly Crete and Zakynthos have this type of diversity. Can you tell us a bit more about the traditional farming in the island? The income of the people here in the island was mainly based on agriculture and not so much from the tourism, as it does today and that’s because the climate, the temperature and the nature benefit these types of agricultural activities. It is a blessed island and the amazing weather benefits especially the production of olives and olive oil, the olives here are amazing, the raisins, the vines and in the more mountainous areas people used to keep livestock and work on the wheat production. But after the war of 1940-50 many people left the island so the agricultural business started to flourish again after the 1960s and you can now see many young people working in this sector and be successful. Why did you decide to give tourists a taste of traditional farming? First of all, this is our passion and it’s what our family was working on for years. Secondly, if you have some many wines, what do you do with them? You can’t really drink them all on your own, you’ll have to make them available for others. Aside from that, this type of work gives me a great pleasure since I get closer with other people and I get great pleasure when I make them feel happy and content. This is how we dispense our products and make ourselves happy. What do you love about the island of Zakynthos? I feel blessed and proud to be from this beautiful island, Zakynthos because every day has a different feel, every day you wake up fills you with diverse images. I also like the fact that it is a small island and I love it simply because it’s the place I was born in and I like the rhythm of life. How do you think living on the island has an influence on the culture of the island? If the way you live doesn’t go against the nature and the human relationships that for sure has a positive effect in the culture – this is the direction you need to think. When you go over the limits that this island can accept then this can cause trouble. You have to stick with the island’s values and become one with it.